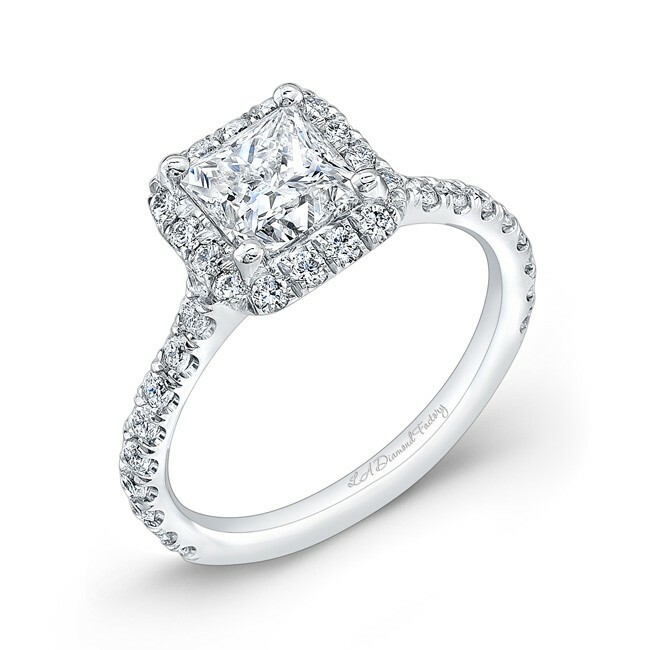 Product Info:This micro-pave halo engagement ring features a princess cut center set in one of our signature princess halo settings. All of the diamonds are handset in Los Angeles. Center stone not included.